You are here: Home » Happenings » Gallatin City-County Health Department Receives National Accreditation! 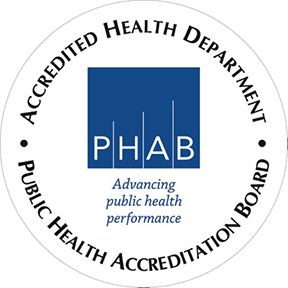 On May 13th, 2015, Gallatin City-County Health Department became one of 75 health departments in the country to be accredited by the Public Health Accreditation Board. The department has been working toward accreditation for over three years. Some of the major requirements for health department accreditation include a Community Health Assessment, Community Health Improvement Plan, an agency Strategic Plan, a Performance Management System, a Quality Improvement system, and an Emergency Operations Plan. The national accreditation program, jointly supported by the U.S. Centers for Disease Control and Prevention and the Robert Wood Johnson Foundation, sets standards against which the nation’s more than 3,000 governmental public health departments can continuously improve the quality of their services and performance. To receive accreditation, Gallatin City-County Health Department underwent a rigorous, multi-faceted, peer-reviewed assessment process to ensure it meets or exceeds a set of quality standards and measures. PHAB’s Standards and Measures align with the 10 Essential Public Health Services and include components for administration and governance of health departments. Accreditation is the process that certifies a level of service and is most often associated with academic institutions or hospitals. The fact that Gallatin City-County Health Department has been accredited means that you can count on this agency to continue to provide high quality public health services that includes: communicable disease prevention and control, maternal and child health services, emergency preparedness, immunizations, and nutrition services through the Women’s Infants & Children (WIC) supplemental nutrition program. The department’s Environmental Health Division works to protect and improve Gallatin County’s food, water, and air quality through programs designed to enforce public health laws and work collaboratively with residents to assure healthy practices in wastewater treatment and food handling practices in restaurants, bars, hotels/motels, and other public establishments. Gallatin County is among three other Montana jurisdictions to become accredited since PHAB’s inception in 2011. Riverstone Health (Yellowstone County) and Missoula City-County Health Department received accreditation in 2014.